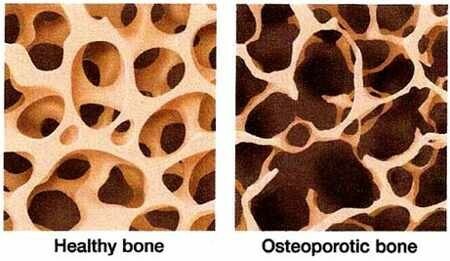 Osteoporosis, The Silent Disease. Are YOU at risk? Osteoporosis is a condition which weakens bones making them fragile and more likely to break. There are usually no warnings you have developed osteoporosis and it is often diagnosed only when a bone is fractured after even a minor fall. Please read on for more information. 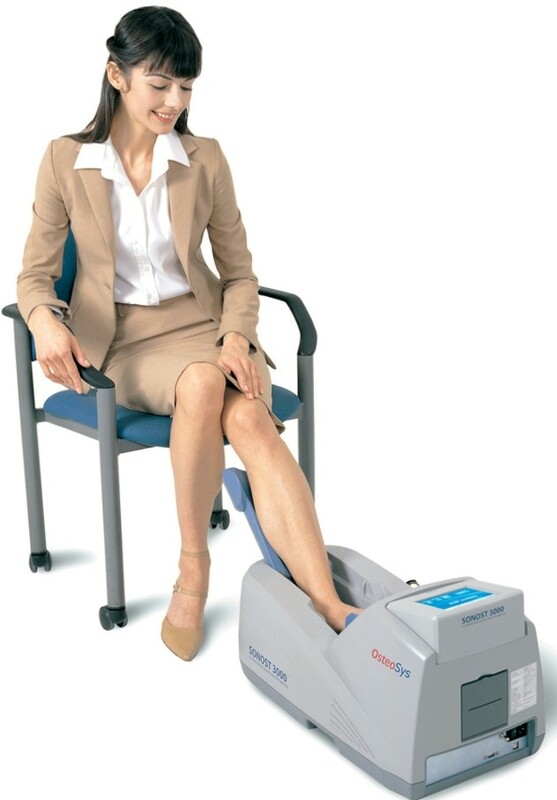 We use Quantative Ultrasound (QUS) to show bone density at the heel which is a good indicator of general bone density in the body. The National Osteoporosis Society says that ‘QUS has been demonstrated to show predictive value for any fracture in women in their peri-menopausal years and of Colles fracture in women in their early post-menopausal years’. You will be provided with a full report of your results showing your T-score and Z-score together with any recommendations appropriate for you. 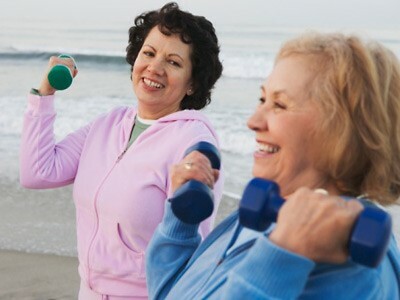 We will help with advice on lifestyle, diet and supplementation to help increase your bone density. We will refer you to your GP for a full body DXA scan if your results indicate low scores. Osteoporosis of the spine may lead to painless loss of height and curvature of the spine (Dowager’s hump). Back pain – painful episodes may be caused by vertebral crush fractures which usually set after 6 – 8 weeks. Long term, chronic back pain may also develop. Height loss can cause the abdomen to protrude (‘pot belly’). This can sometimes cause indigestion and heartburn. Occasionally it can cause problems with bladder and bowel control as there is no longer enough space for the contents of the abdomen. Anxiety and depression – anxiety about further falls or what the future may hold can inhibit enjoyment of life as can fears about changes in body shape caused by osteoporosis. Osteoporosis often affects women, particularly after the menopause. However, it can also affect men, younger women and children. We are both Health Care Professionals with over 50 years experience between us. Mobile Clinics throughout Norfolk and Suffolk. Call us to find out when we are in you area. If we are unavailable on the number above, please call either 07905 005295 or 07905 005296.